An archive of all the fun things we did in the 2014-15 year! 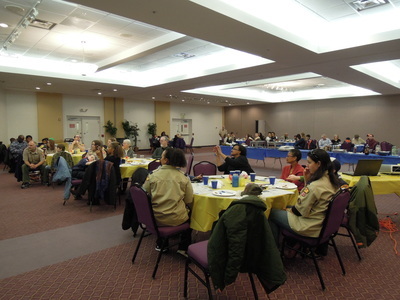 Our rescheduled Blue & Gold dinner was a big success! 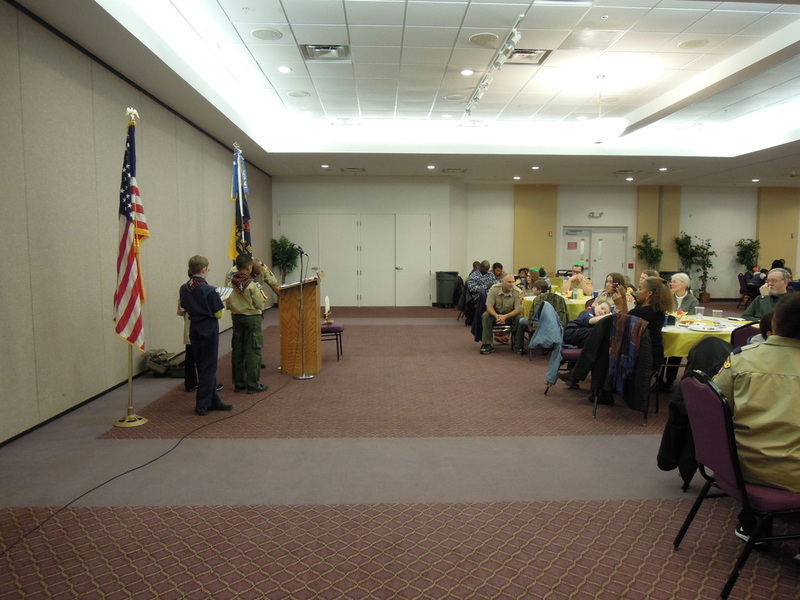 Once again, the Beth Israel kitchen staff, and brotherhood did a great job. Thanks to all who helped make it possible! 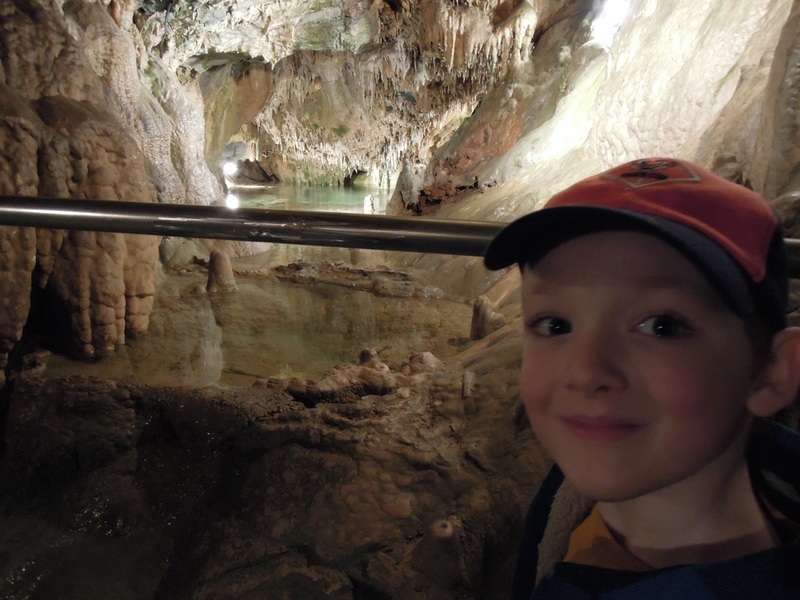 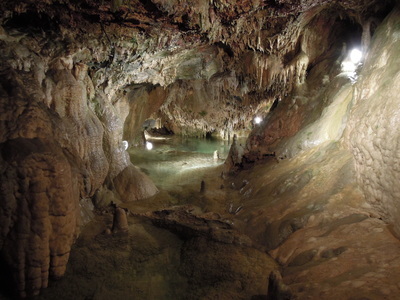 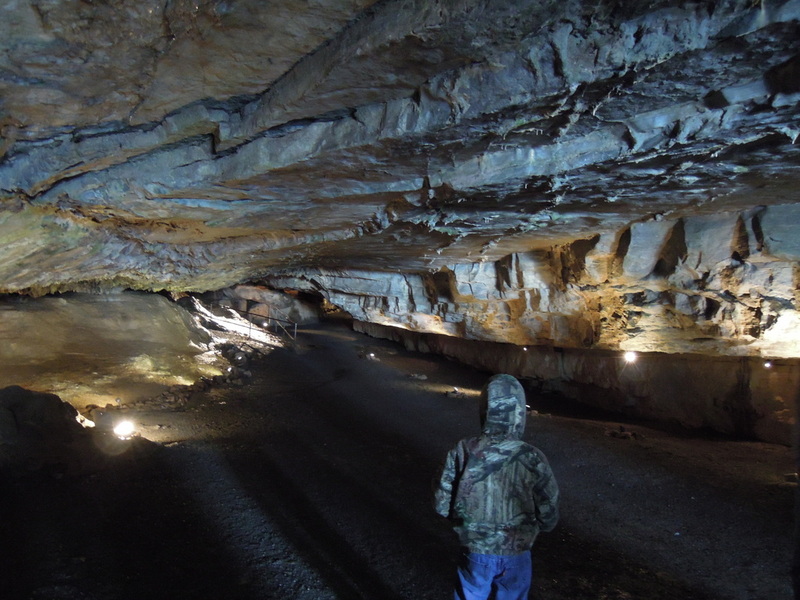 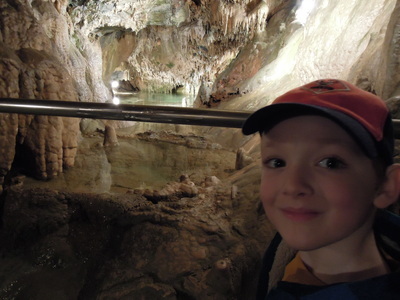 The cub scouts had an awesome time exploring Indian Echo Caverns! 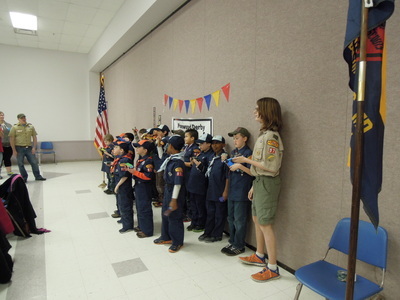 We participated in a geology class, learning about minerals and earning our Geology belt loops. 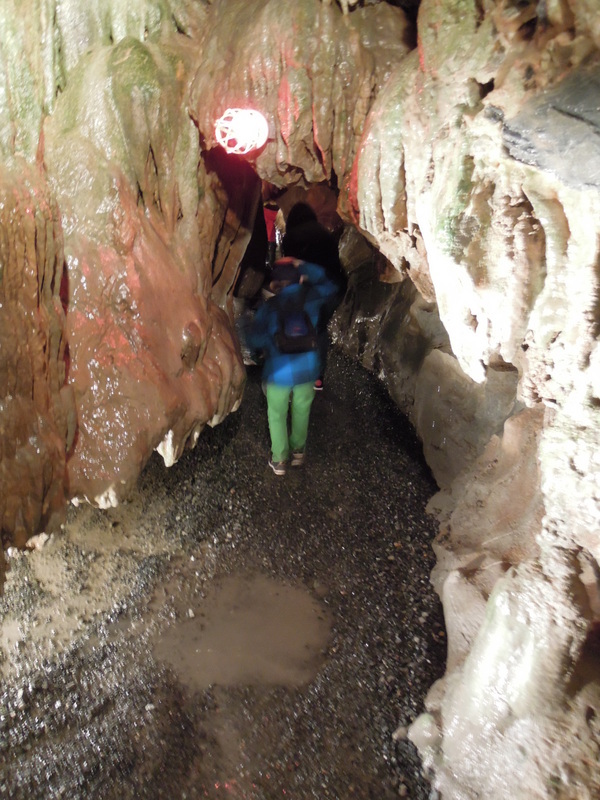 We saw the snow melt creating new cave formations! Unfortunately our Blue & Gold dinner was snowed out! Our new Blue & Gold date is March 29. 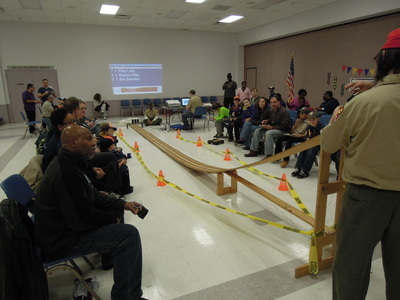 Now's a good time to earn those snow sport belt loops though! 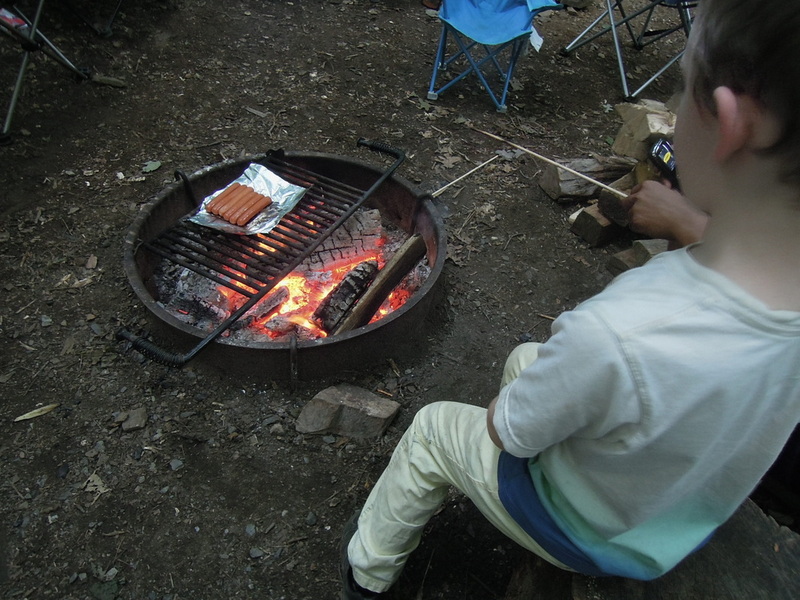 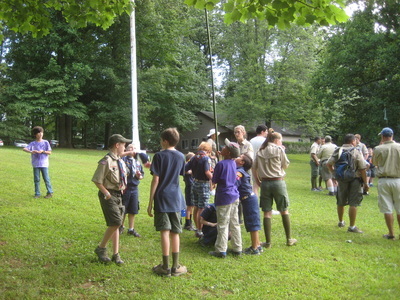 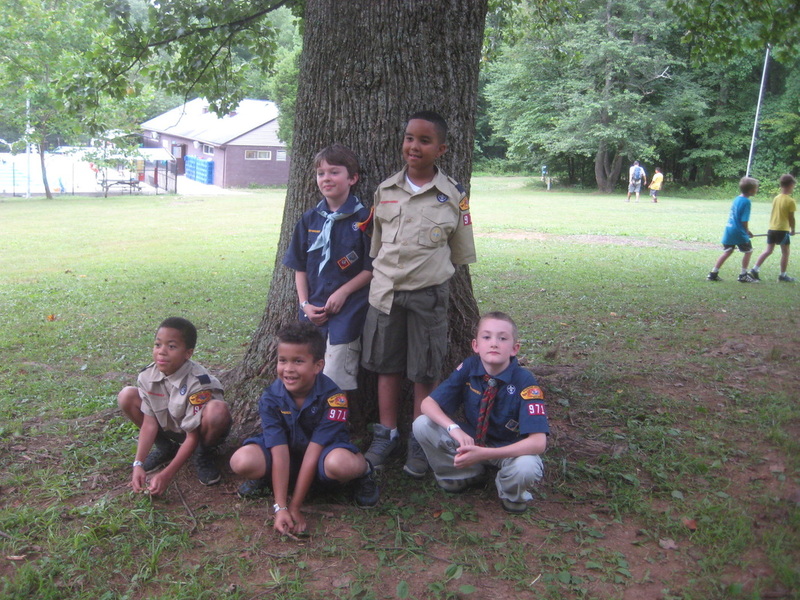 A cub scout tradition! This year's pinewood derby was excellent as always. 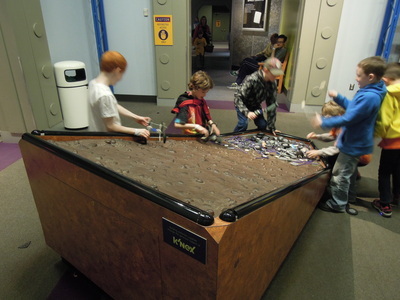 Despite the challenges involved in connecting timing gates to laptops using cables from the dark ages of computing, a good time was had by all. Congratulations to our winners: 1st place Jon Gfeller and 2nd place Malachi Omotosho! 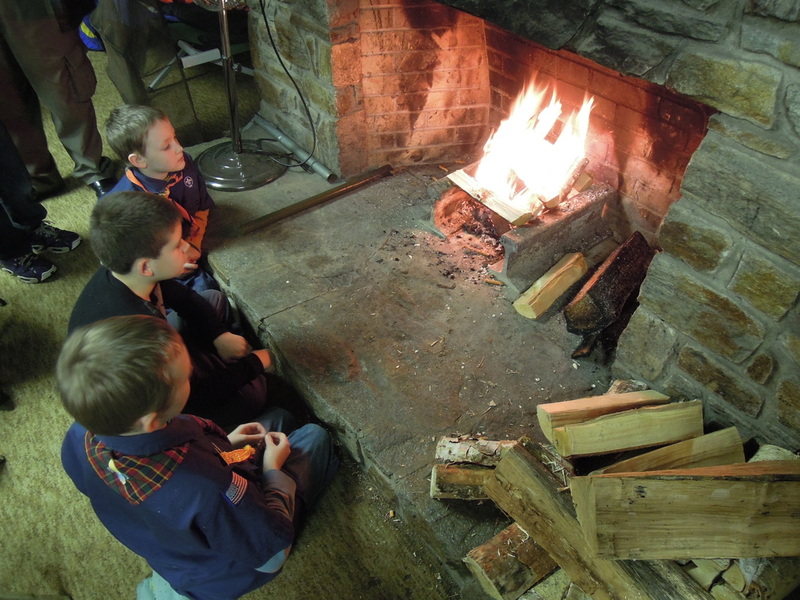 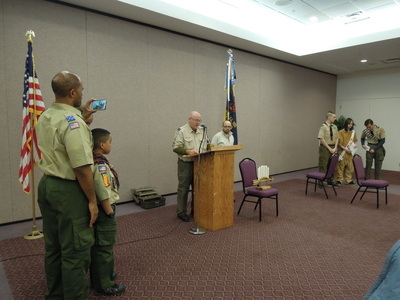 Pack 971 had a good time at this winter retreat with Pack & Troop 18. 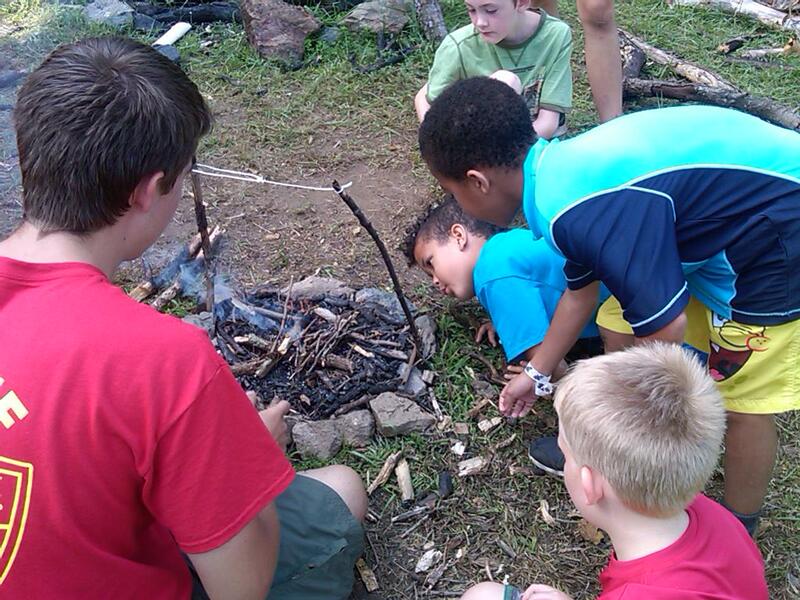 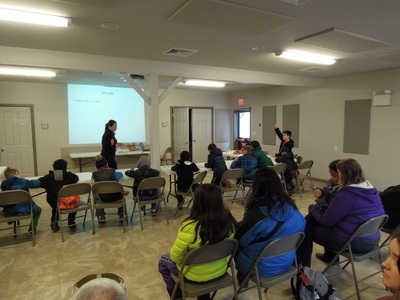 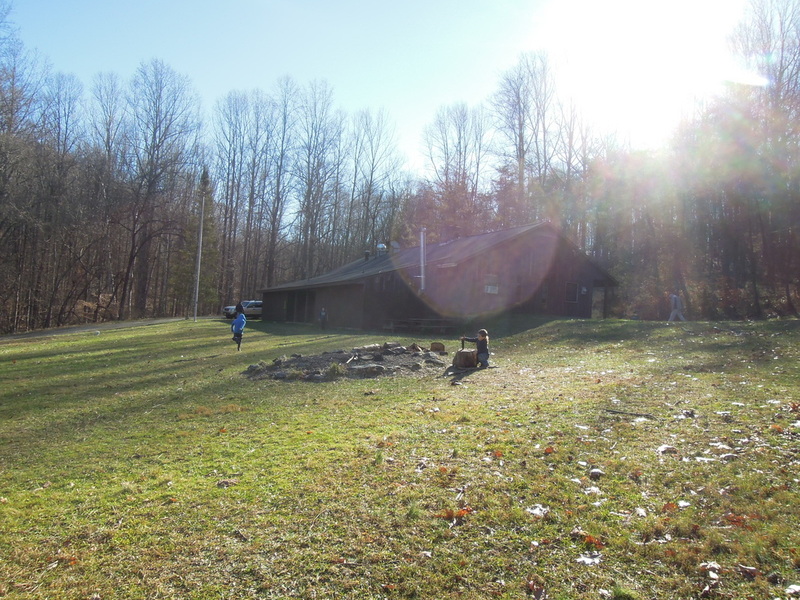 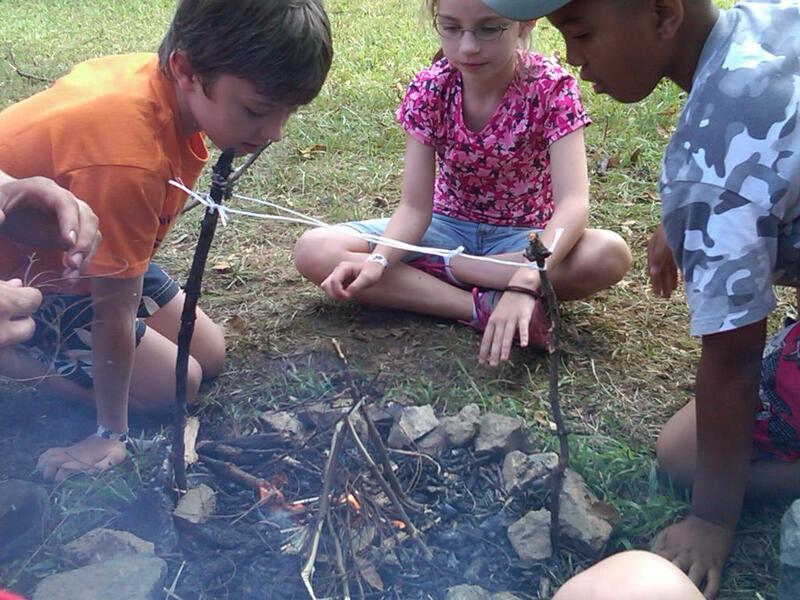 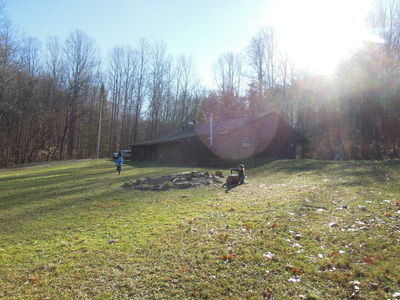 Activities included hiking, games, and fire building ! 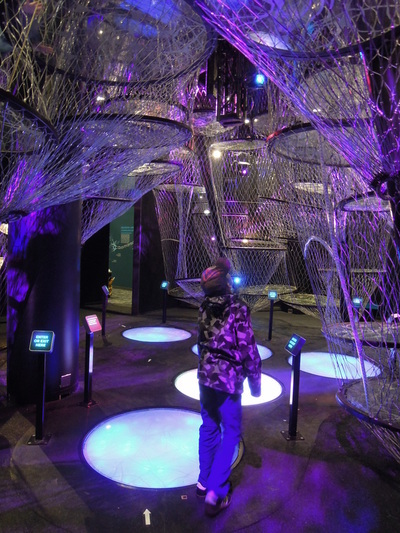 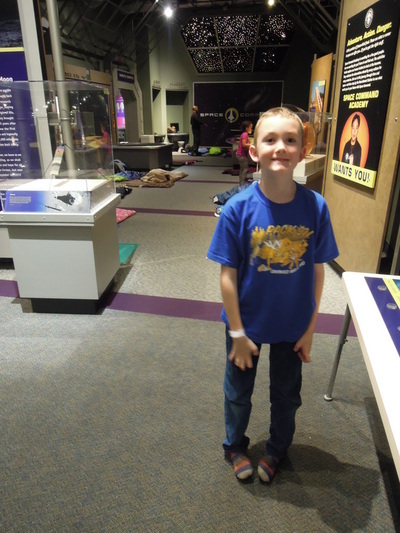 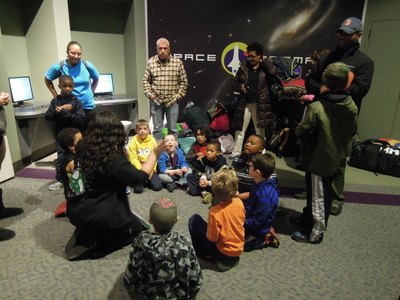 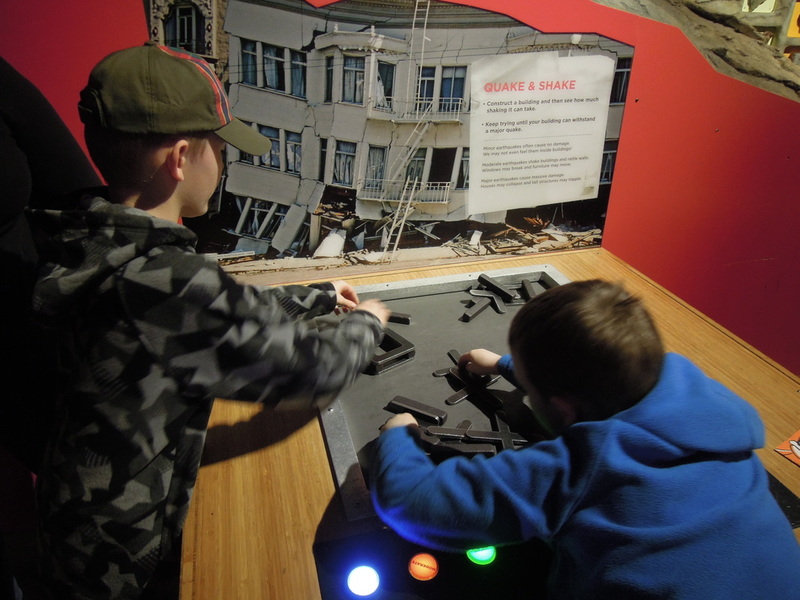 We had a great time at the Franklin Institute last weekend; watching the science shows, playing with the exhibits, and sleeping in the space command section of the museum. 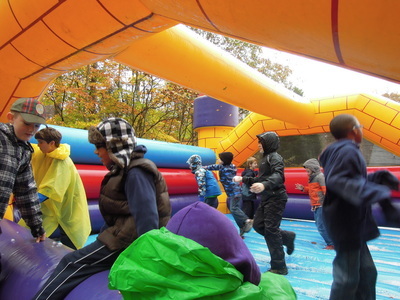 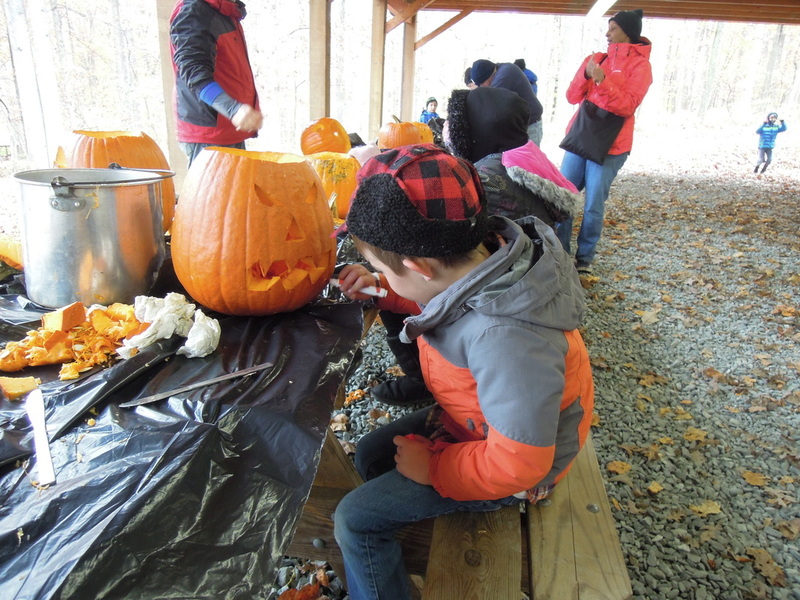 The cub scouts had a fun time with the various activities at Broad Creek Scout reservation this weekend for their Halloween Spooktacular camp out! 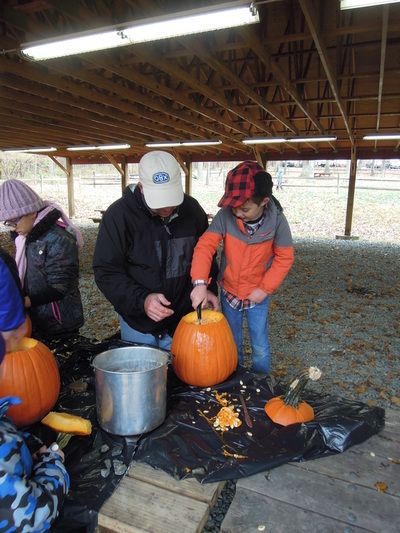 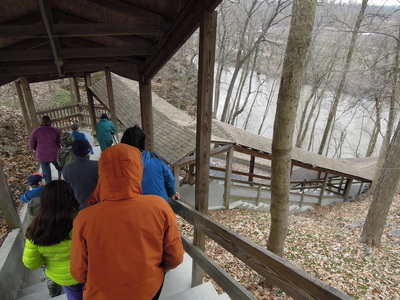 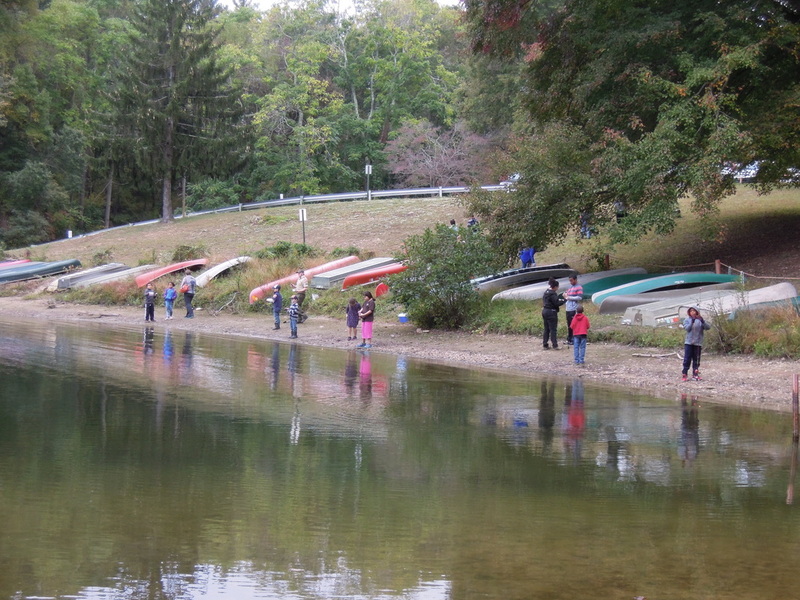 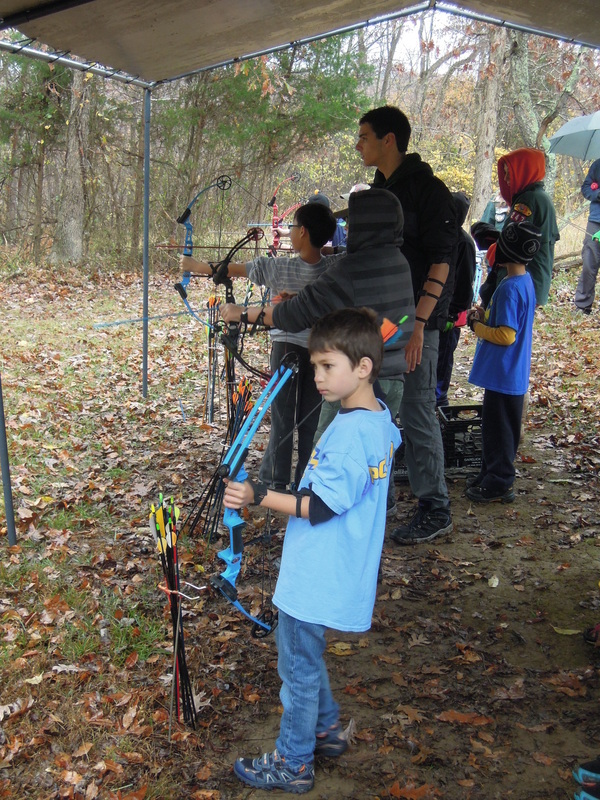 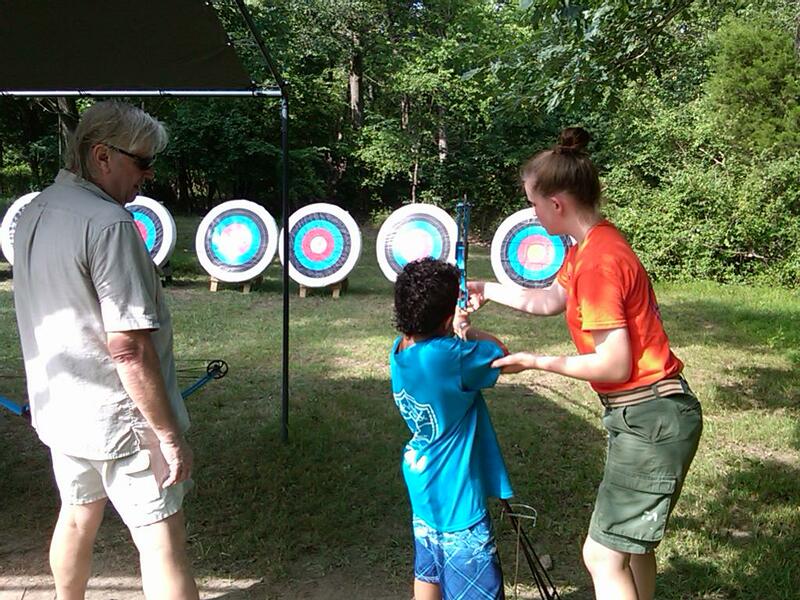 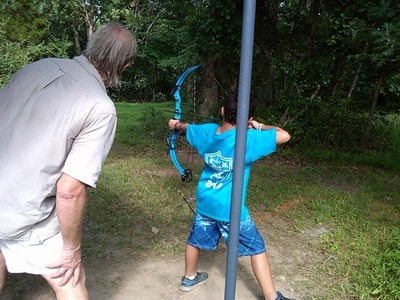 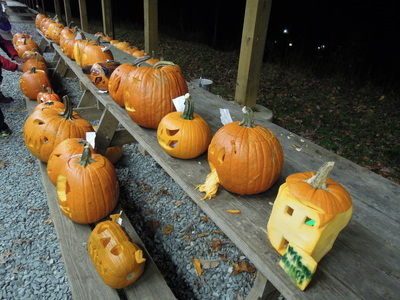 We hiked, carved pumpkins, visited the archery and BB range, and much more! 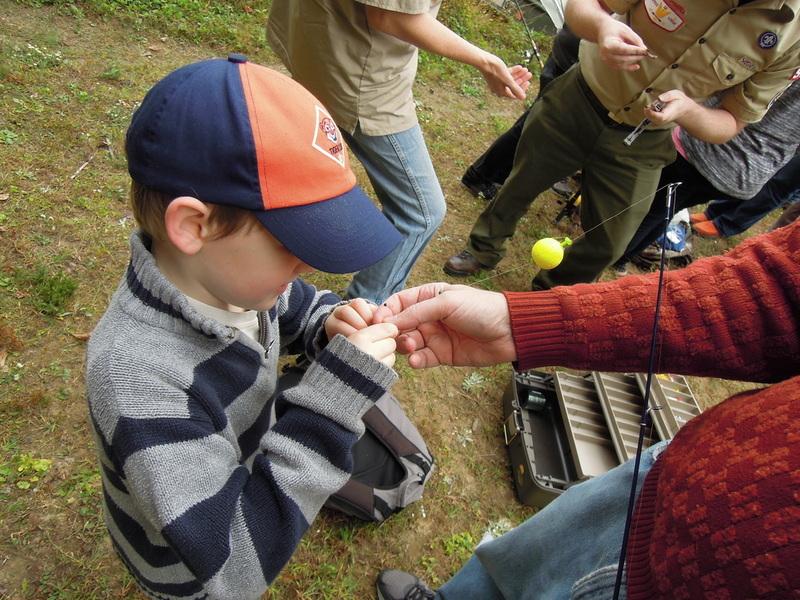 We had a fun time earning our fishing belt-loops at Liberty Reservoir! 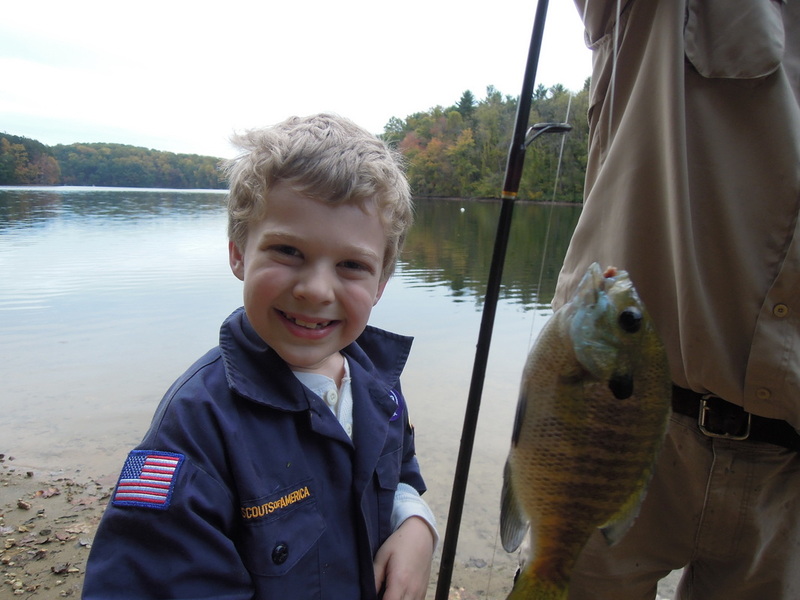 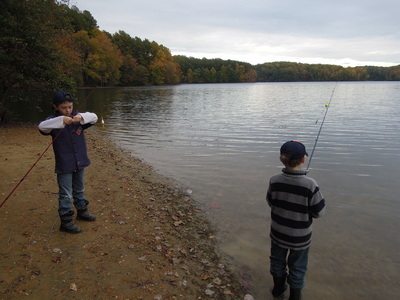 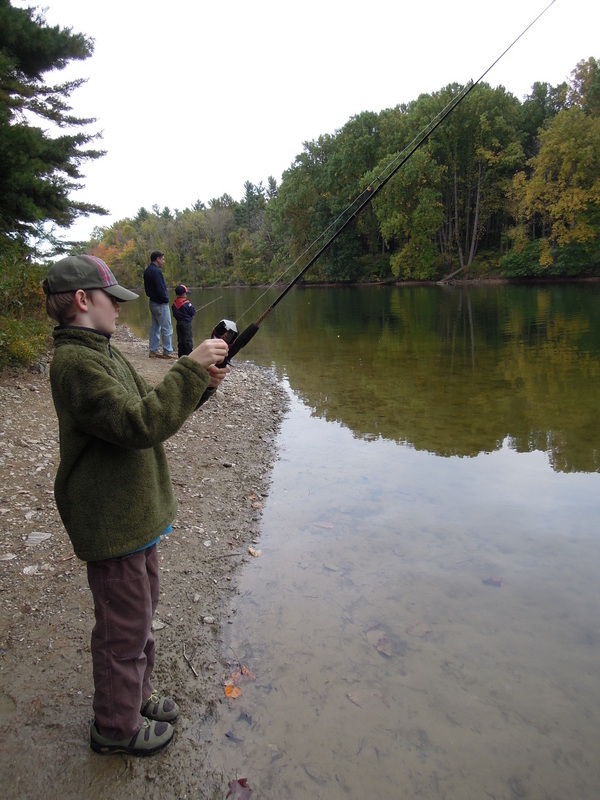 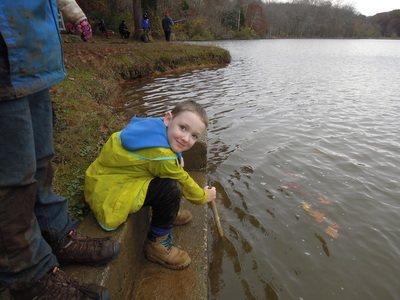 The cub scouts learned about fishing laws, how to bait a hook, and spent some time enjoying our local water resources while fishing. 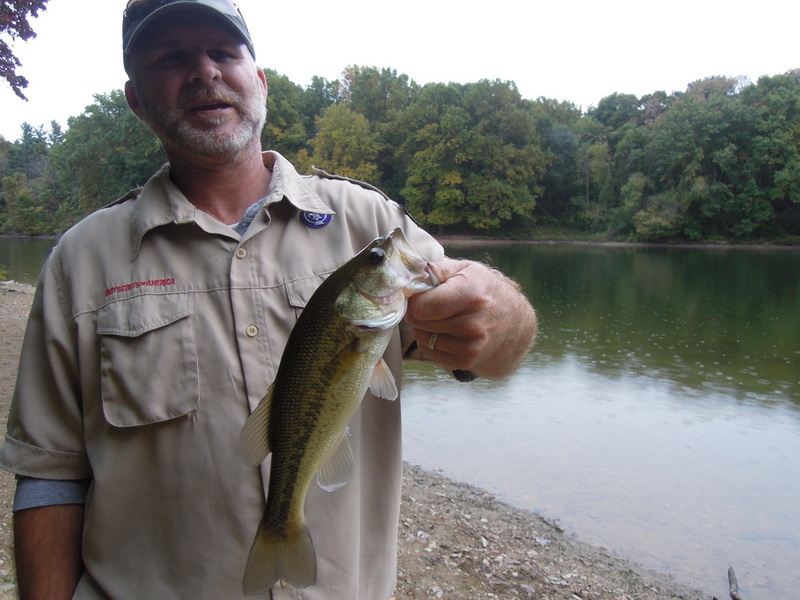 The fish were wily but we got a few! 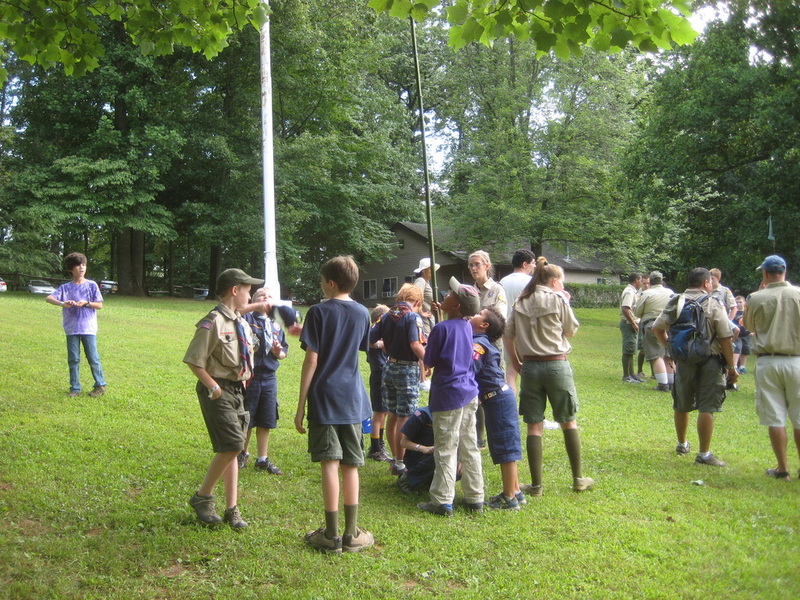 Our first pack meeting of the 2014-15 year! 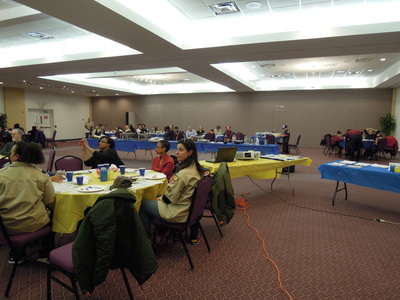 This month's core value was "Cooperation" which the pack celebrated with a few activities centered around the theme. 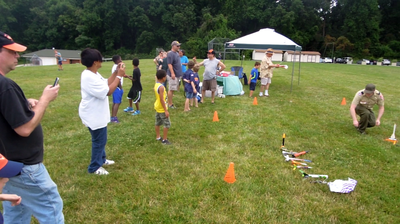 Zombies were tagged, ships were guided, a quad rotor helicopter was flown. 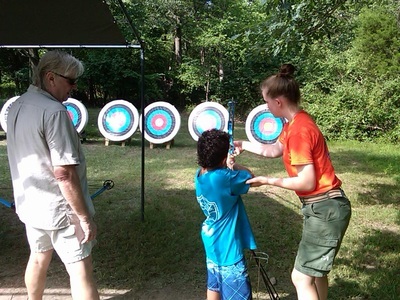 A special welcome to the new families joining us this year! 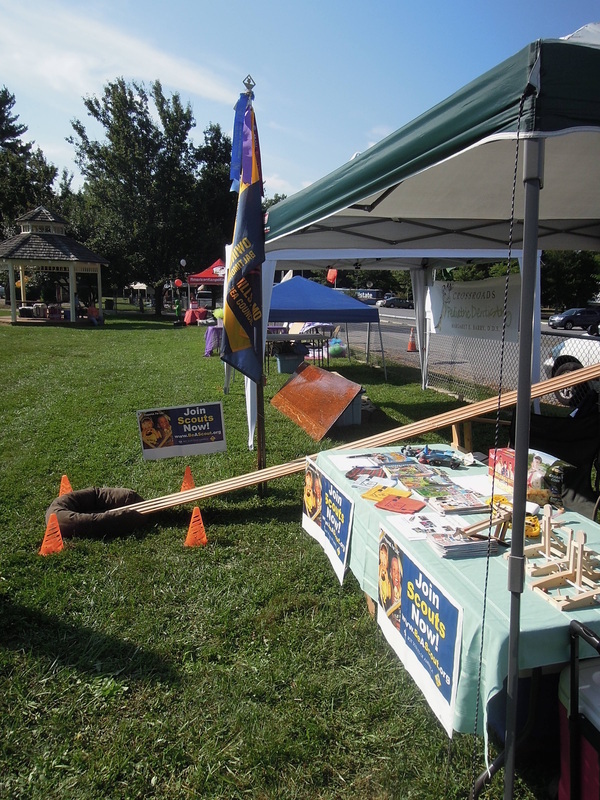 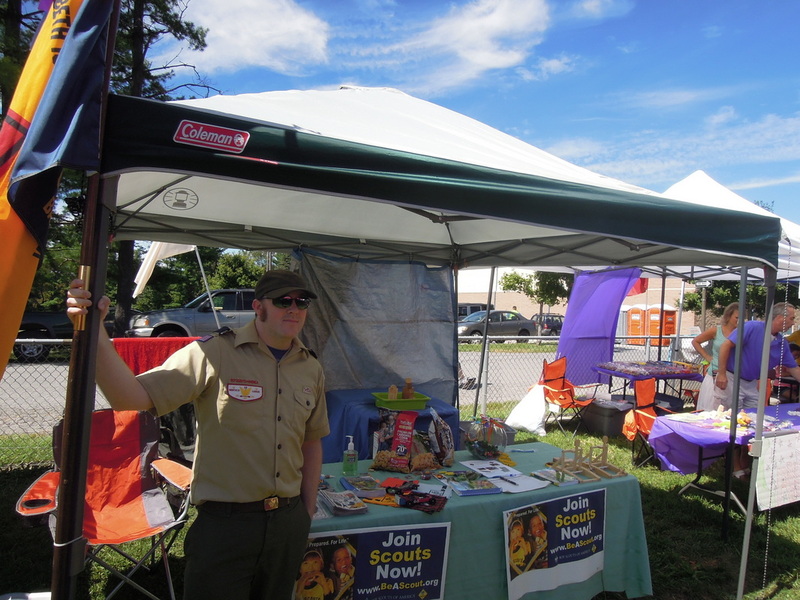 Our pack had a great booth at this year's Reisterstown Festival thanks to everyone who was able to volunteer time! 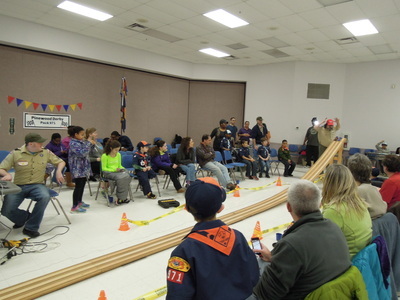 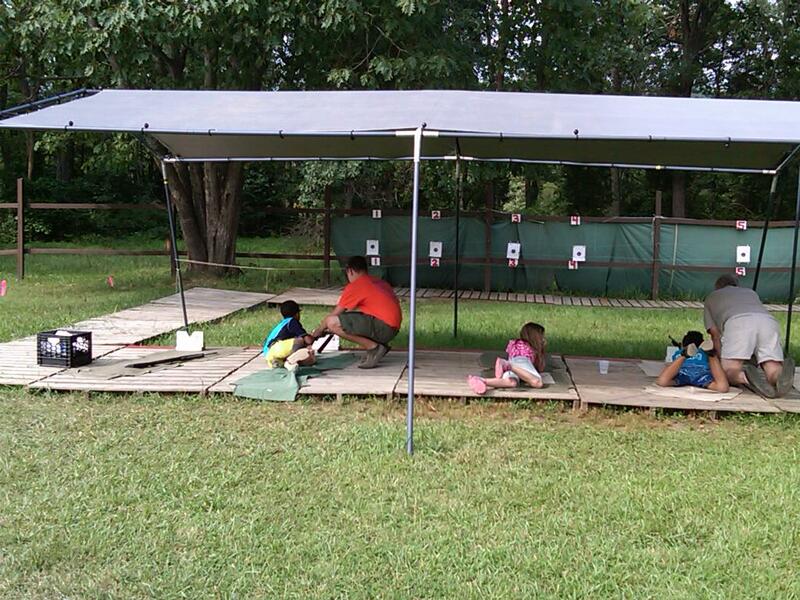 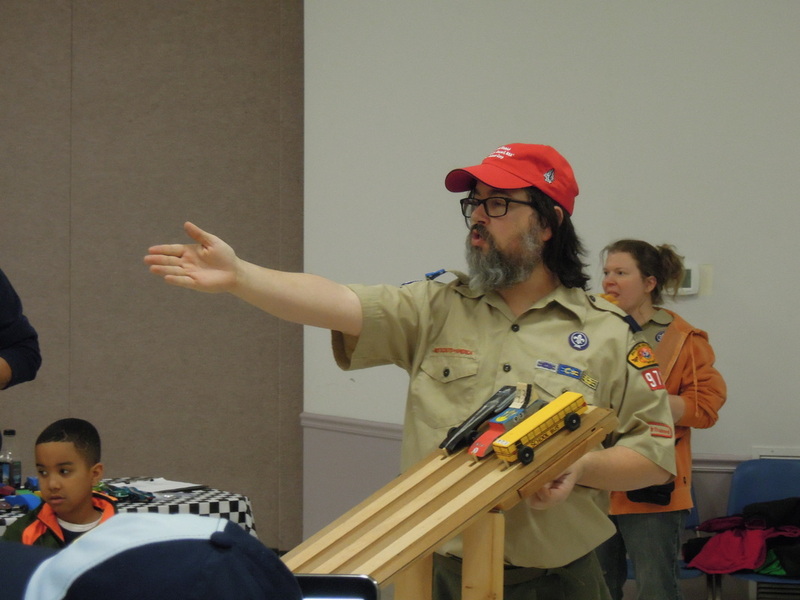 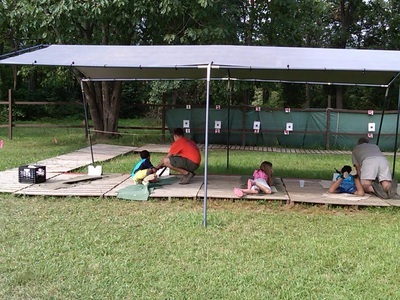 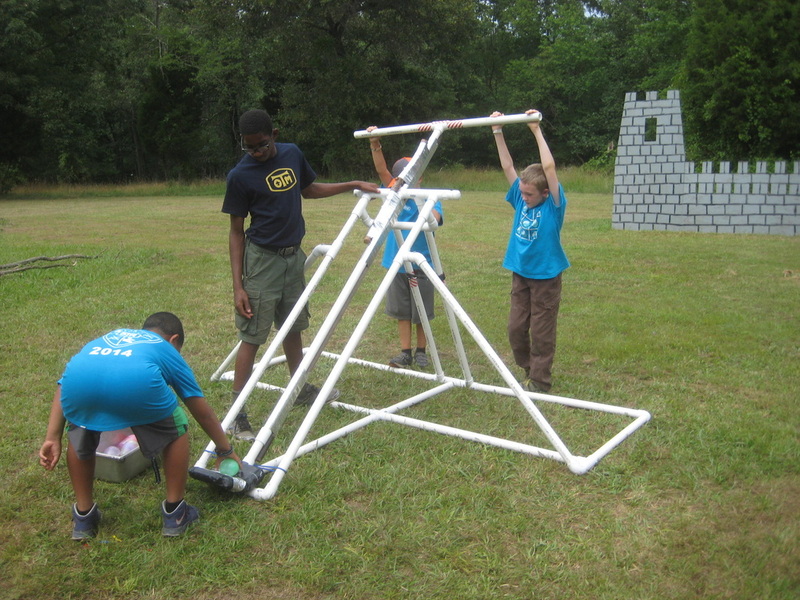 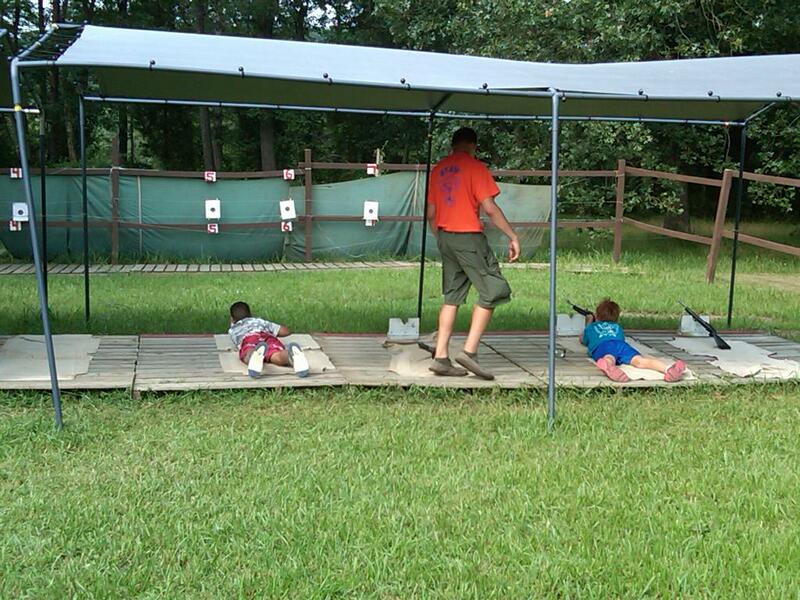 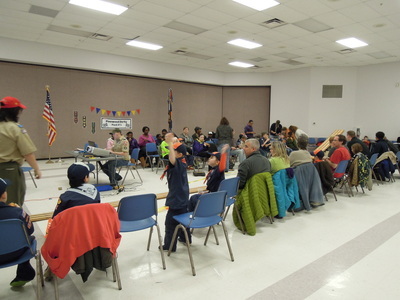 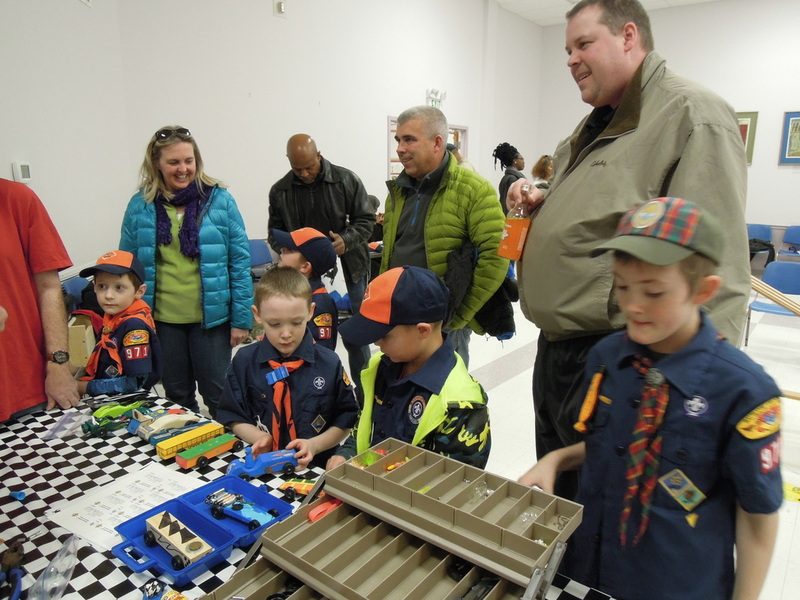 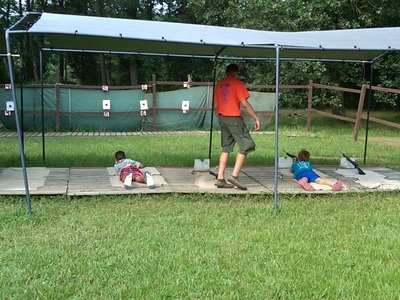 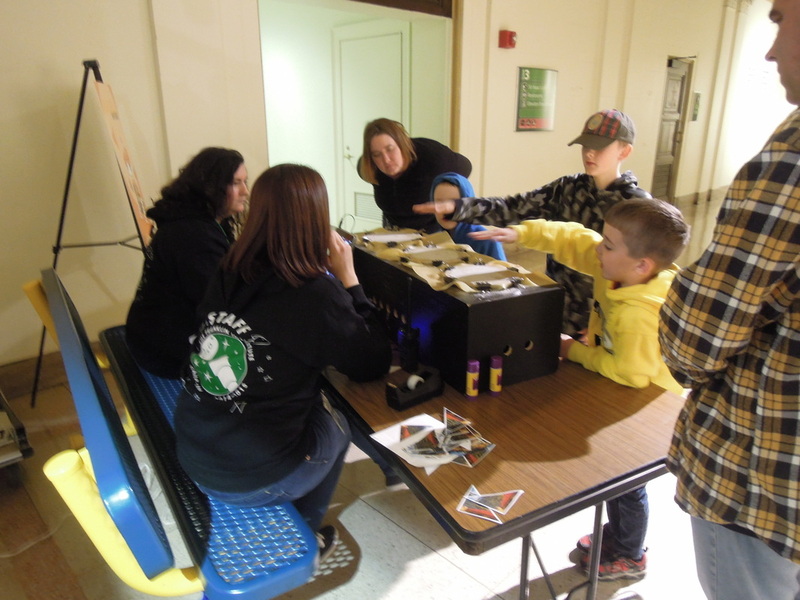 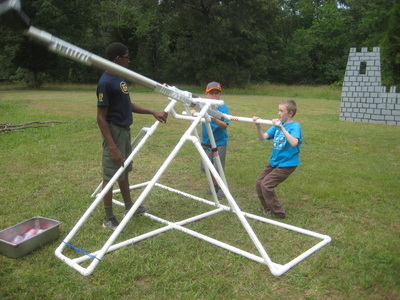 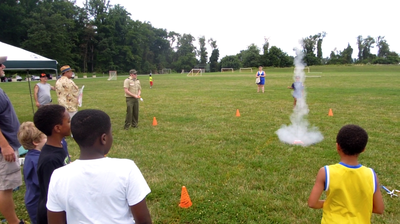 Passers-by had a fun time racing pinewood derby cars, firing model siege weapons, and learning about scouting. 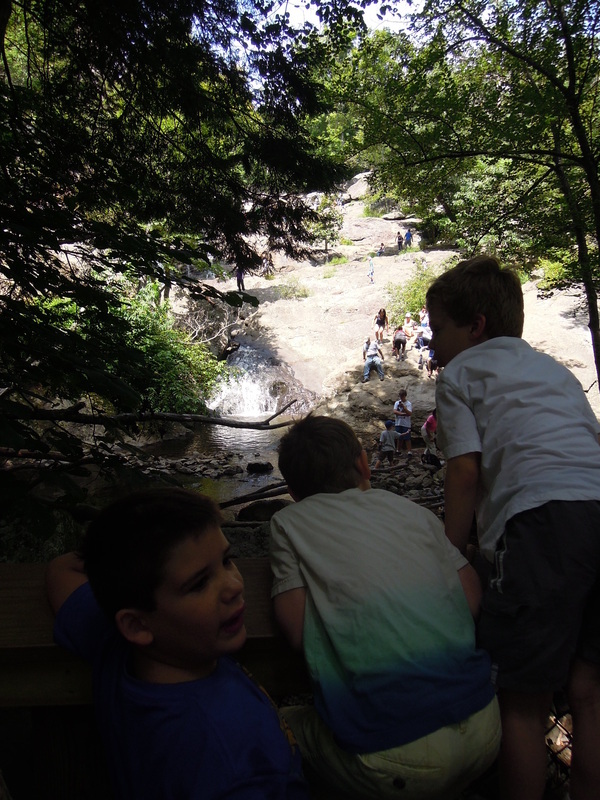 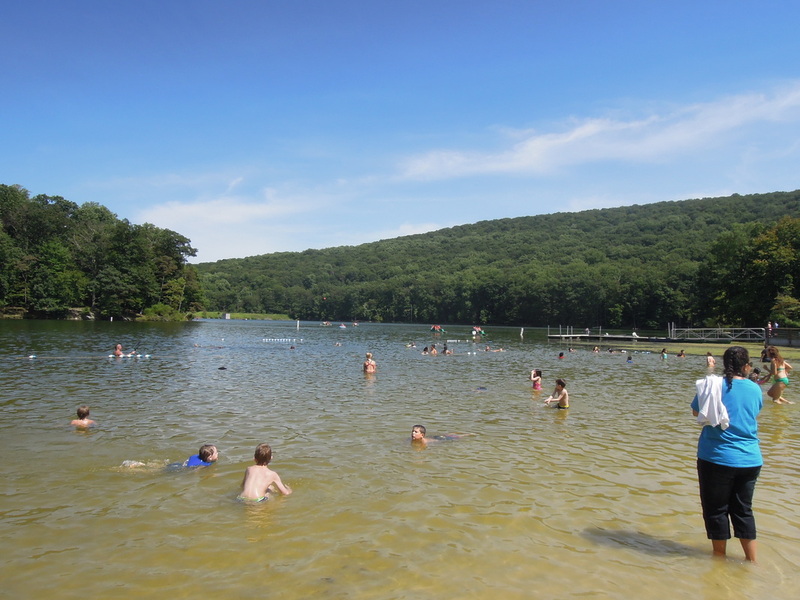 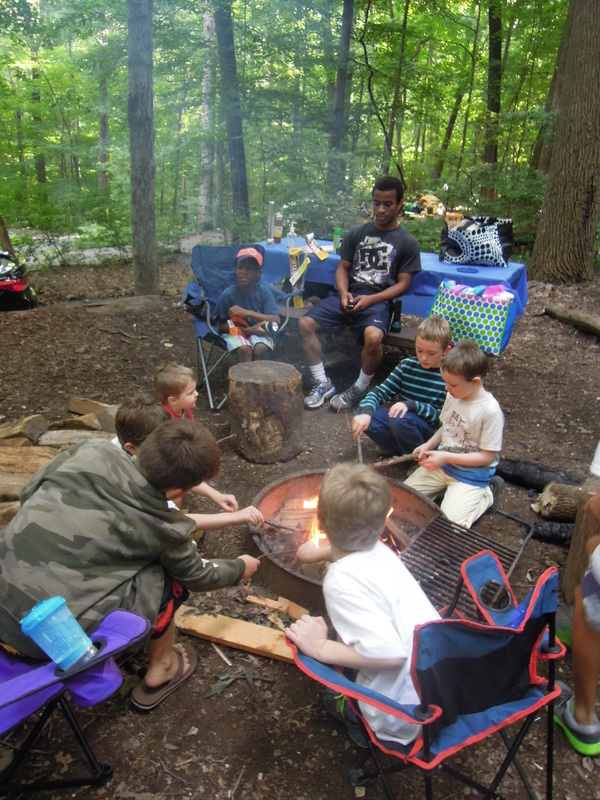 The pack had a great time hiking and swimming at Cunningham Falls, and the weather was perfect for our camp at Catoctin Mountain National Park! 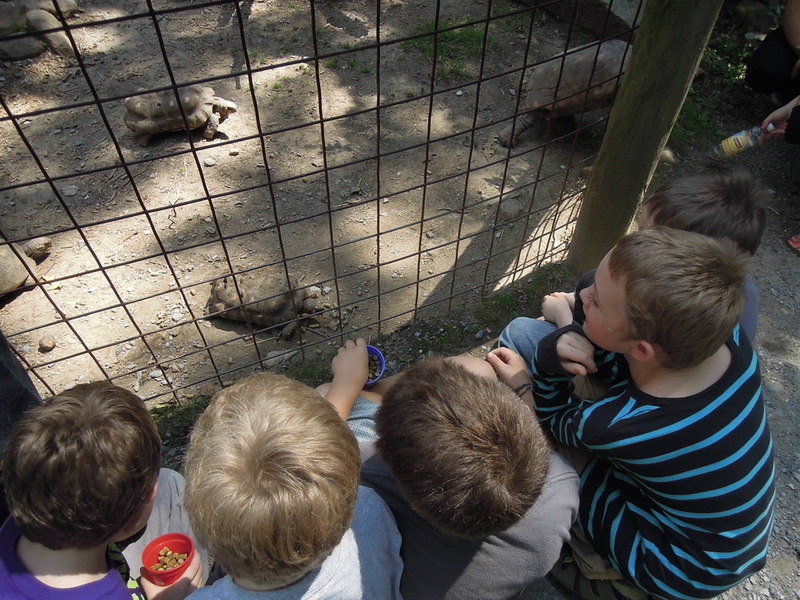 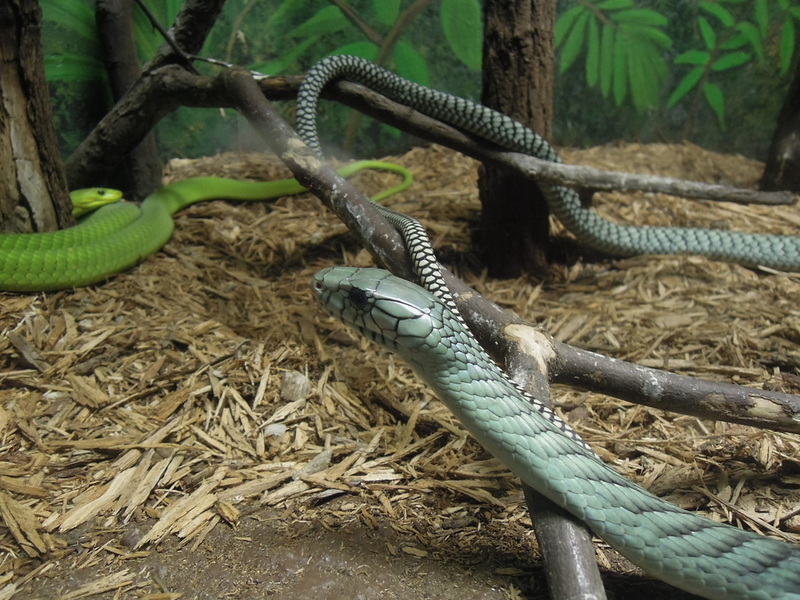 After breaking camp we had fun visiting the nearby Catoctin Wildlife Preserve & Zoo. 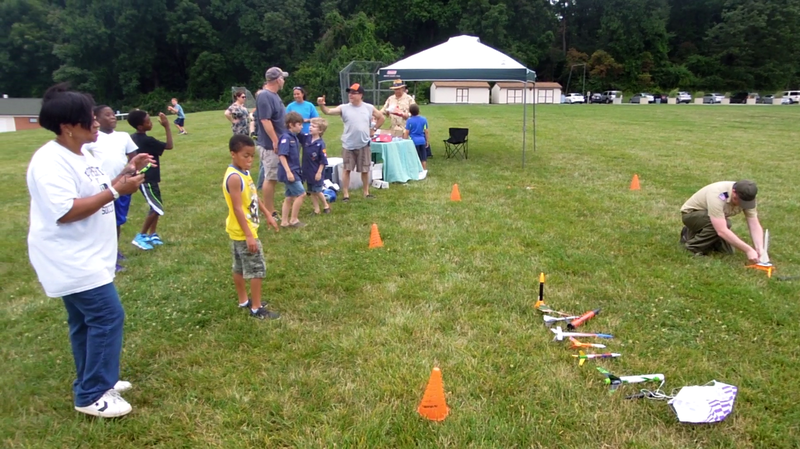 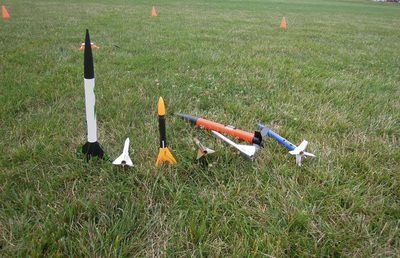 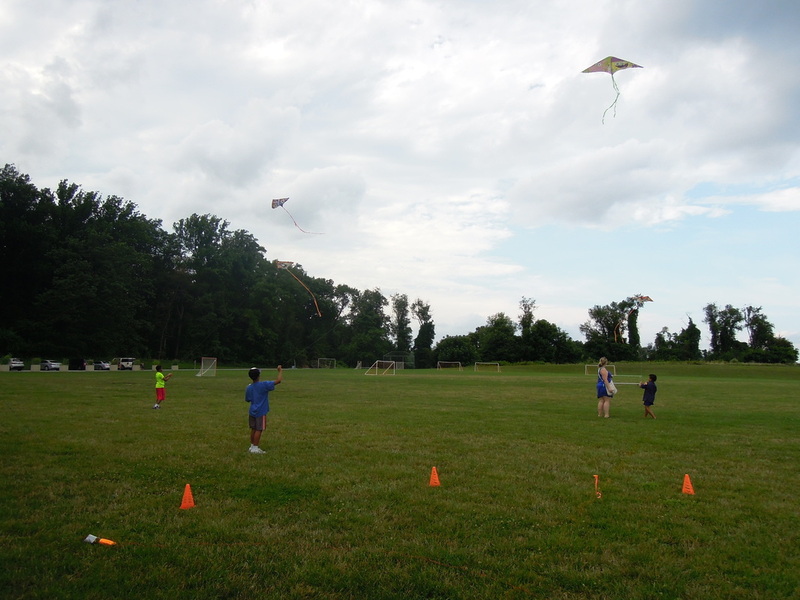 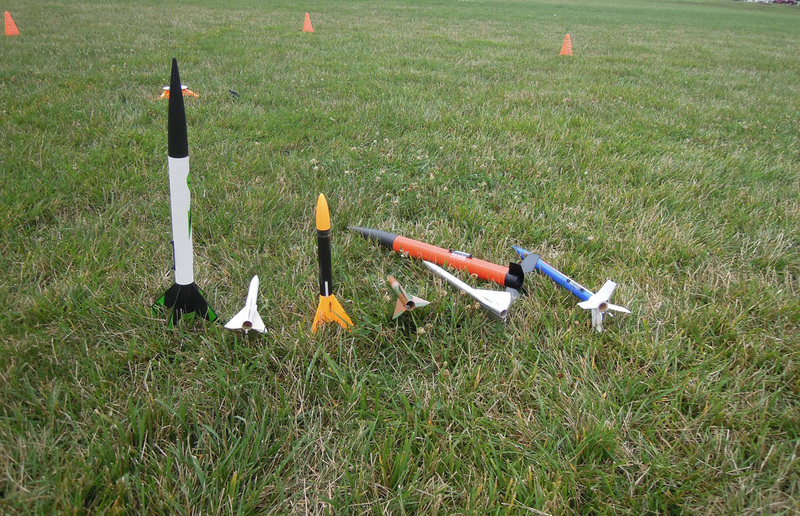 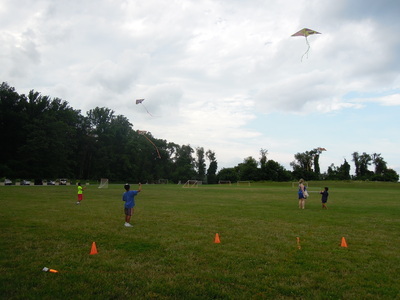 Everyone had fun launching the rockets they built, and special thanks to Pack 18 for coming out too and bringing some kites to fly!